Kids love to color. I know my daughter and nephew can spend hours coloring when he comes over. But there is always one complaint. It never fails that there will be several instances where they both want to use the same color marker at the same exact time. The next thing you know we have a huge argument going on, all over a marker. 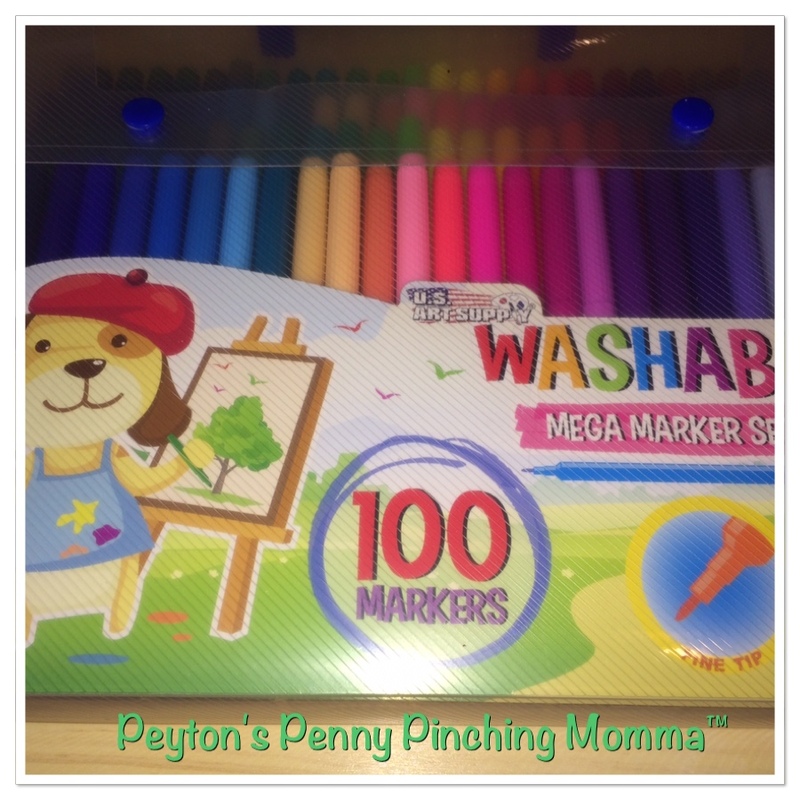 With the US Art Supply 100 count washable marker set there are no more arguments. There are 2 of each color in the kit! If they both want to to color with blue they can. 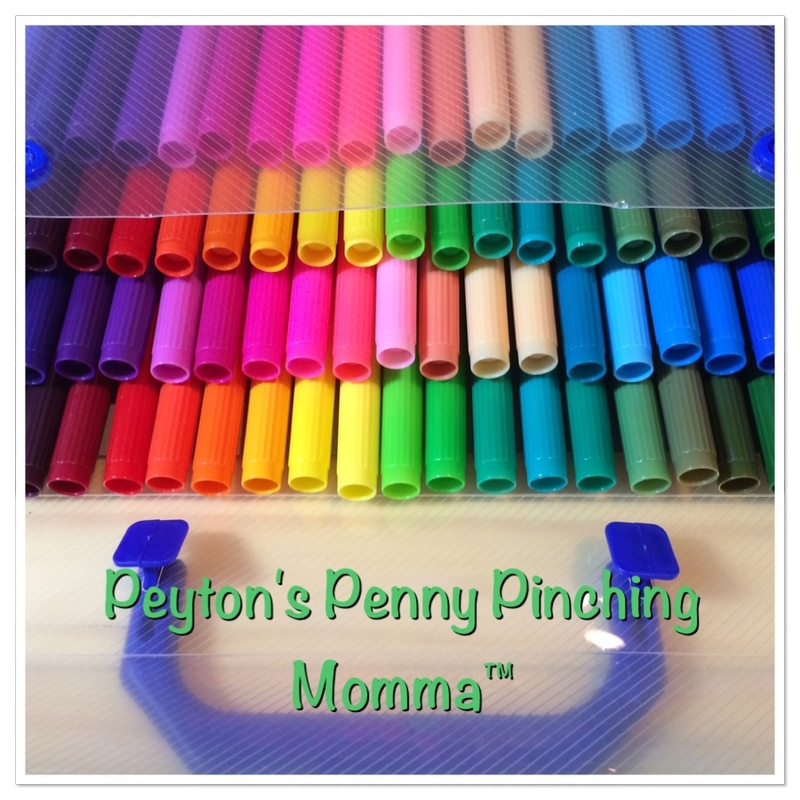 With over 50 colors to choose from they are sure to find perfect color every time. Another wonderful feature of the markers is they are washable. Like really washable. If the kids get a little messy while coloring all I have to do is have them wash their hands with a little soap and warm water and the marker comes right off. So many other markers we’ve owned have just lightened in color but not come off. It’s refreshing to have a marker that will truly come clean. All these markers are fine tip so that makes them perfect for adult coloring books! Yes these markers are not just for kids but for adults too. I used them to color a page in an adult coloring book and I found them to glide across the page, not bleed or run. That makes these perfect for intricate pictures or drawings. And because I didn’t experience smudging either that means much less color on my clothes and skin because it stayed on the page. These markers are perfect for anyone that likes to color or draw with a fine tip. There is no smudging, bleeding or running. If you get the marker on your skin it easily washes off with a little soap and warm water. Perfect for any age! You can purchase you own set on Amazon.